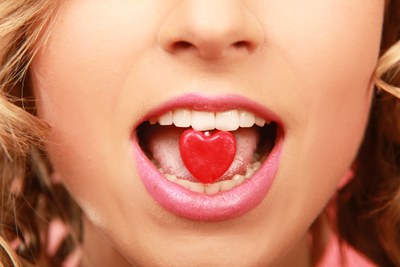 The purpose of this study was to examine the association between tooth loss and heart disease. Data were analyzed from the 1999 to 2002 Behavioral Risk Factor Surveillance System, an ongoing telephone survey operated by state health agencies with assistance from the Centers for Disease Control and Prevention. The study was conducted based on 41,891 adults aged 40 to 79 years old in 22 states and the District of Columbia. 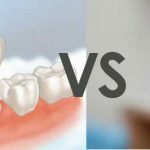 A significant association was observed between the extent of tooth loss and heart disease prevalence. 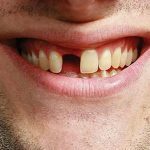 After adjustment for age, gender, race/ethnicity, education, and marital status, respondents who had 1 to 5 missing teeth, 6 to 31 missing teeth, or were edentulous were significantly more likely than those without tooth loss to have heart disease (adjusted prevalence: 6.8%, 10.2%, and 11.5%, respectively, vs. 5.3%; p<0.001). These associations persisted after further adjustment for smoking status, diabetes, alcohol consumption, hypertension, hypercholesterolemia, and body mass index (5.7%, 7.5%, and 8.5%, respectively, vs. 4.7%; p<0.05); and after stratification by age group (40 to 59 years and 60 to 79 years) and smoking status (ever smoked and never smoked). Tooth loss is associated in a consistent and graded fashion with the self-reported prevalence of heart disease. Health promotion counseling should include the prevention and control of cardiovascular disease risk factors and the maintenance of good oral health.